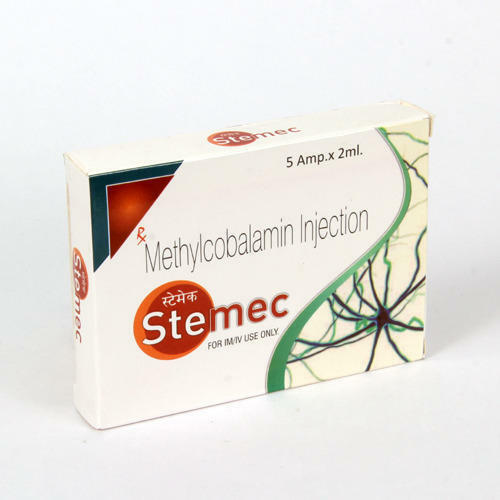 We are the leading suppliers and distributor of Methylcobalamin Injection Being a reputed pharmaceutical company dealing in manufacturing, supplying and exporting a wide range of generic medicines, health care products, ayurvedic medicines and hospital equipment. Range of products being offered by us includes tablets, injections capsules, dry syrup, protein powder & energy drink, lotions, shampoos &soaps, & dental products. We are a largest integrated research based pharmaceutical company. We ensure that our range isinculcated with new advancements to see the better off the humanity."